Do you know a 15-24 year old looking for work? 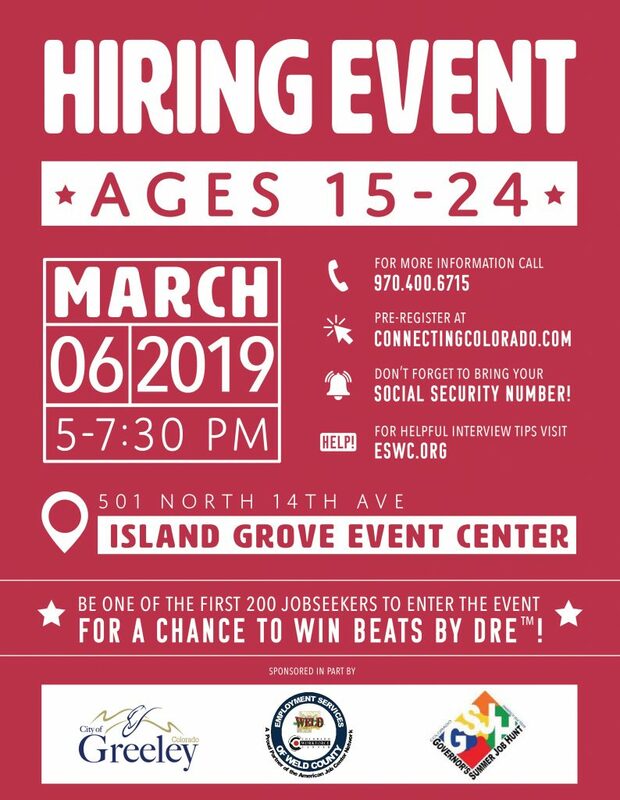 There is a Hiring Event on March 6 from 5:30 to 7 p.m. at the Island Grove Event Center. A Social Security number is needed for entrance to the fair. Be one of the first 200 job seekers to enter the event for a chance to win Beats by Dre™ headphones. For more job seeker services: ESWC.org. Sponsored in part by the City of Greeley, Employment Services of Weld County, and the Governor’s Summer Job Hunt.